Final Program for 2018 UC-NCP IPC Meeting now Online! Just wanted to let you all know that the final program for the 2018 UC-NCP IPC “Arrowhead” Meeting is now online. You can see the schedule of workshops, and download any associated readings. Please make an effort to download and read the assigned texts prior to the workshop. In particular, please note that we will be opening the conference on Friday evening with a roundtable discussion (meaning an open discussion with all attendees) on three short “core texts” we feel will open up some of the weekend’s themes in preparation for the workshops. In order to ensure a vibrant opening conversation on Friday night, please make an effort to read these three texts (total of ~24 pp) prior to arrival. Looking forward to seeing you all “on the mountain”! We are pleased to announce that we will once again be offering graduate student conference stipends for the University of California / New Center for Psychoanalysis Interdisciplinary Psychoanalytic Consortium Conference (April 20 – 22, 2018 at the beautiful UCLA Conference Center at Lake Arrowhead, California). The stipend covers conference registration and lodging fees, as well as up to $250 in travel expenses for students traveling from outside Southern California. The University of California / New Center for Psychoanalysis Interdisciplinary Psychoanalytic Consortium (UC/NCP IPC) announces its annual competition for two $10,000 fellowships to aid psychoanalytically-informed research on the literary, and humanistic expressions of genocide, racism, ethnocentrism, nationalism, inter-ethnic violence, and the Holocaust. Our Endowment supports studies in the psychodynamics of personal, group, and international crisis management, de-escalation, conflict resolution, and peace processes. The fellowships are intended to provide for dissertation research in scholarly resources, archives, libraries, academic contacts, and to provide support for the final writing for publication of a project whose major research has been completed. Applicants should be advanced to Ph.D. candidacy in their graduate studies or be in a psychiatric residency or a fellowship program. Prof. Gabriela Fried (gfrieda@calstatela.edu) by April 1, 2018. 3) One letter of reference by a faculty sponsor familiar with their work. NOTE: Applicants for the Dissertation Award prize are encouraged to apply for a Conference Stipend as well, in order to attend the conference at which the fellowships will be awarded. We are gearing up for our Annual University of California / New Center for Psychoanalysis Interdisciplinary Psychoanalytic Consortium meetings. They will be held on April 20 – 22, 2018 at the UCLA Conference Center in Lake Arrowhead, CA. The full conference description and call for papers is available here. Please consider submitting a proposal to the Program Committee to facilitate one of the sessions. Also, circulate this announcement widely, identifying anyone who you think might be interested in attending and participating in the Consortium. In these dark times, it is especially important to gather among friends and colleagues! I think the theme will establish a framework for discussion over the week-end that will be refreshing and restorative for everyone! We will be posting the registration form for the conference in the coming week or so, along with information on student stipends and paper prizes. Please be sure to check It is very important for people to register as early as possible for the week-end! We rely on the registration money to help fund the conference, including the many early up-front costs. UC/NCP IPC, alas, has no reserve funds and depends on you. The Final Program and Readings for the 2017 UCNCP-IPC Lake Arrowhead Meeting is now online and available here. If you plan to attend, please look over the schedule and select the sessions you’d like to attend. PDF copies of the readings for each session are linked directly from the Program. No hard copies will be provided, so please download and read prior to the meeting. One more thing—if you haven’t done so yet, please be sure you’ve registered! The Registration Form is available here. Please be sure to include a short biographical statement to share with the other attendees. For more information on the 2017 program, see the Program. UC NCP IPC 2017 – Early Registration Request! 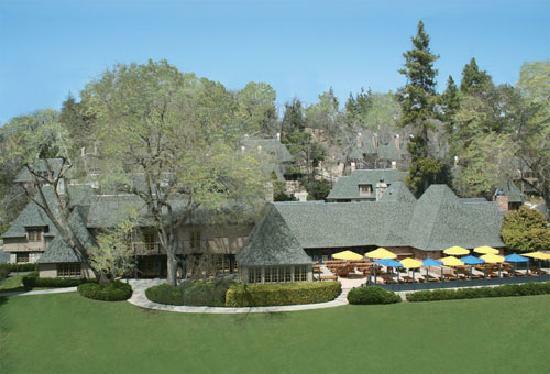 As you know, our annual meeting of the University of California/New Center for Psychoanalysis Meeting will be held at the UCLA Conference Center in Lake Arrowhead. The meetings are going to be a bit earlier this year than in the past: March 31-April 2, 2017. The theme of the Conference this year is “Boundaries, Borders and Crossings.” A Call for Papers has already gone out, and I hope many of you will consider submitting a proposal. Over the years we have relied on many of you, planning on attending, to pre-register and to pay the required fees as EARLY as possible. Many would write checks for next year on the last day of the Conference. For various reasons, we collected very few checks at that time. We have relied on those early contributions for our operating expenses during the year: most importantly, the deposit to the Conference Center to hold the week-end for us. I’m writing you all now, hoping you might be willing to pre-register now, so we have some money to cover our pre-conference expenses. The rate for a Double Room (upstairs or downstairs in a lovely alpine-style condolet) is $460, the rate for a Single room is $520. I hope many of you are civic-minded enough to help UC-NCP IPC now by sending in your pre-registration check so we can secure the rooms and begin planning. I might add that last year we were able to return the registration back to those who had pre-registered and, for one reason or another, were unable to attend. We anticipate being able to do the same thing this year. Pat Wright at NCP had administered all of the Arrowhead details. Unfortunately, she has retired, and her position is yet to be filled. Please send your checks, made out to UC Regents, to Lisa Rosenberg, NCP, 2014 Sawtelle Blvd., Los Angeles, CA 90025. I believe, if necessary, NCP will also accept credit card payments (see Registration Form for more details). I look forward to seeing all of you at our March meeting! Thanks for your cooperation. We are pleased to announce the Call for Submissions for the 25th Annual UC/NCP Interdisciplinary Psychoanalytic Consortium Meetings, held at beautiful Lake Arrowhead, CA. (March 31-April 2, 2017). This year’s UC/NCP IPC meetings will explore the concept of the boundary—interpersonal, intrapsychic, institutional, and cultural. What is the process by which a boundary is created and maintained? How do boundaries function to include and exclude? Under what conditions, and to what ends, are they sites of migration,transformation, and permeation? Boundaries are places of opposition and contestation (Bion’s institution/misfit); breaching (trauma); pathology (BPD), and containment (Anzieu’s skin ego). Work happens within them — the consultation room — and at their interface – the psychoanalytic frame, psychoanalysis and social movements; interdisciplinary studies. We invite 250-500 word proposals for plenary and breakout sessions that explore issues related to boundaries, borders, and crossings, from any perspective anchored in psychoanalysis. Presenters will make their introductory remarks for the first fifteen minutes of each session and will then be expected to facilitate inclusive group discussion. The three plenaries and the workshops will be built around a short text or excerpt(no longer than ten pages), so please indicate your reading selection and,if possible, send a copy with your proposal. Send proposals to: derwin@ihc.ucsb.edu by December 1, 2016. You can also direct questions to Susan Derwin (Program Co-chair) at this address. As always, we’ll be convening at the lovely UCLA Lake Arrowhead Conference Center and Resort in the mountains of southern California. The retreat atmosphere, the beautiful surroundings, the comfortable cabins, and the delicious meals always make for a wonderful conference.